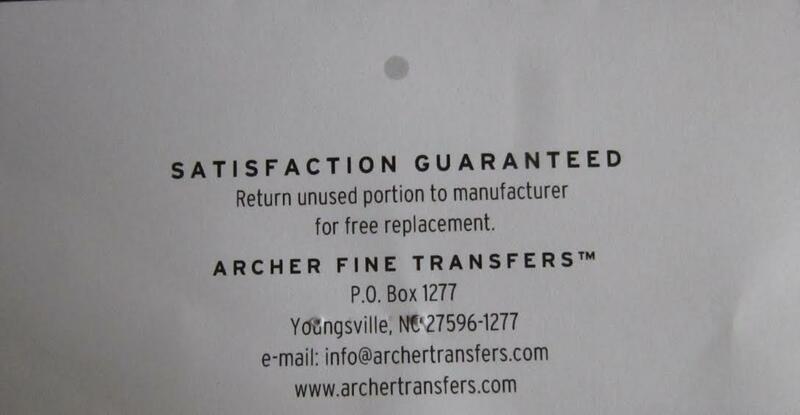 Archer Fine Transfers is a company that makes rub-on dry transfer type decals and printed products. They are located in Youngsville, NC USA. 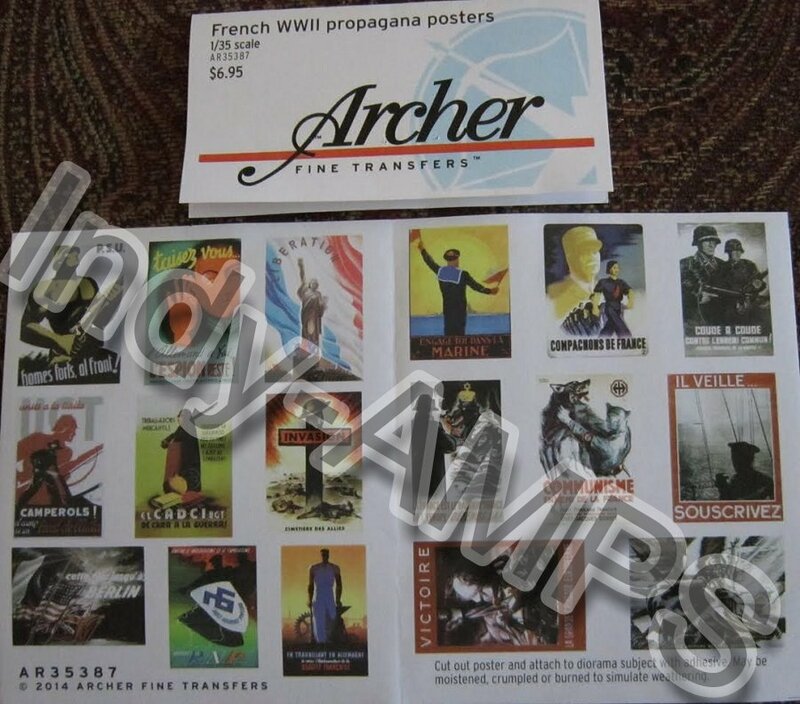 This new product is one that provides 17 French WWII propaganda posters in 1/35th scale, printed with waterproof inks. These posters are both Free French and Vichy (which are pro-German). Modelers will find them very useful in dioramas where they are posted on the sides of buildings etc. The colors are very vivid and they are very readable. The set comes in a clear cello bag with a header sheet stapled to it. You only have to cut out a poster and attach it to a diorama subject with adhesive. The poster may be moistened, crumpled or burned to simulate weathering. I wish to sincerely thank Archer for this review sample.